To add a new student in a new family, click on the Add New Student button located on the left-side menu . Complete the form. 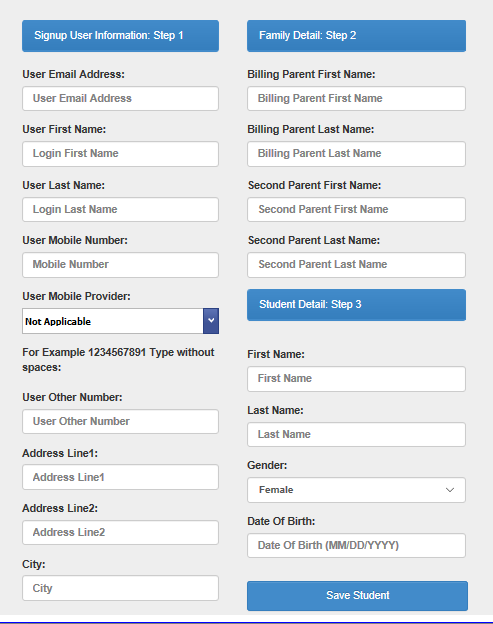 Every field is Mandatory except for the second address line and second billing parent information. If you don’t know the cell phone provider, select ‘Not Applicable’. If you only know one phone number, you can enter it again in Other Number. 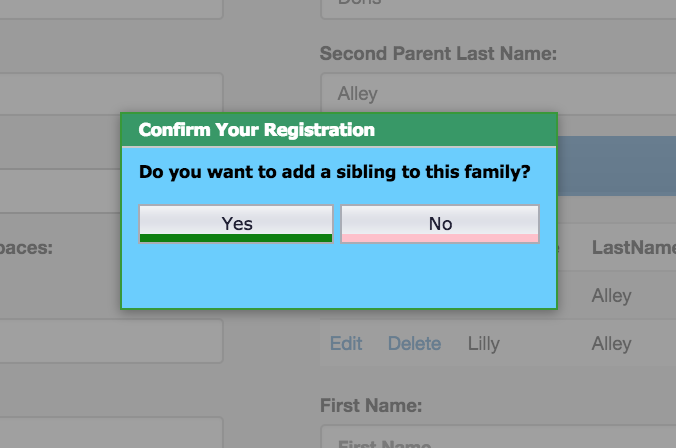 Once completed, click on Save Student and you will be asked if you wish to add a sibling. If you select ADD SIBLING, you will simply need to add the sibling information in Step 3 Student Detail. When you answer the question Do you want to Add a Sibling to this family? as No the following will take place as long as the email address does not currently exist in the system. 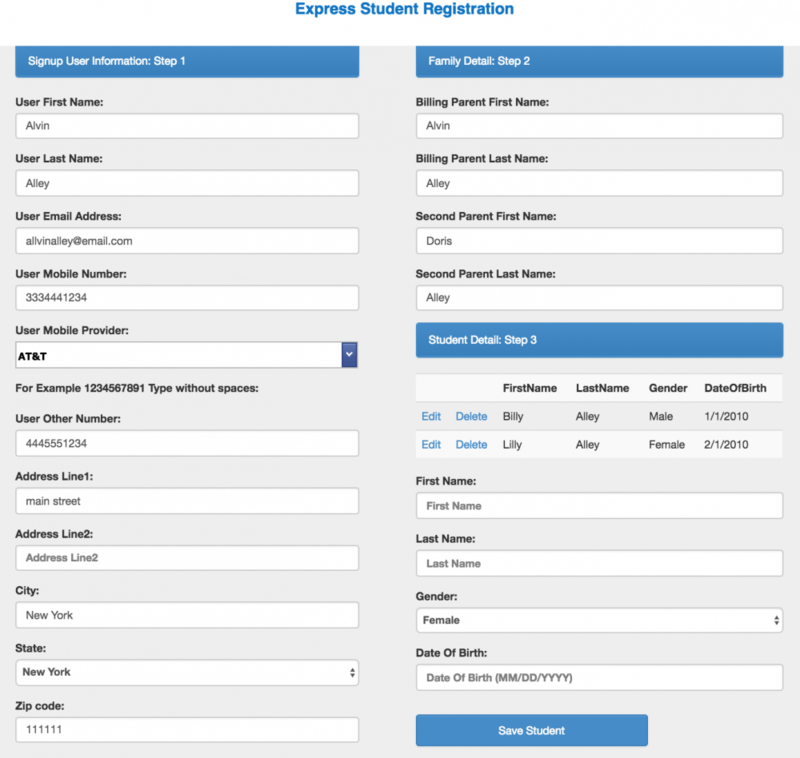 The student will be created with the address and guardian tab populated. Guardian address will also be set. Student and guardians will start with the same email address. The Family will be created in the Family Link section with email address and mailing address, students will be linked below. Do not use this option if the email address exists in the system. Then you will use the Add Sibling button top right corner..